Indonesian activists capture government spy. Activists of the United Indonesia Movement (GIB) have captured a military intelligence officer, identified only as E.S., who was allegedly spying on their plans to prepare an anti-government rally on Tuesday. Last August, the Indonesian government denied rumors it planned to begin spying on Mosques around the country. Former Monaco head-spy recounts meeting with Prince Albert. 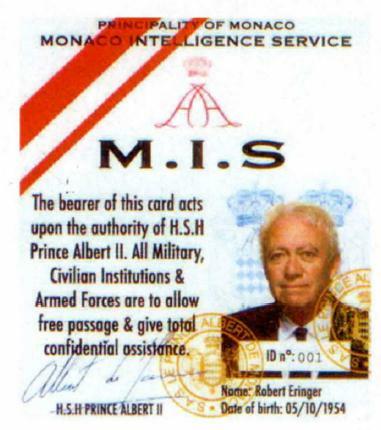 Former FBI counterintelligence agent Robert Eringer, who until recently was spymaster to Prince Albert II of Monaco, recounts how he was appointed to lead the principality’s intelligence service by the Prince himself. Ex-Monaco spymaster renews lawsuit on principality. Robert Eringer, who until recently was spymaster to prince Albert II of Monaco, and is now suing him for €360,000 ($542,000) in alleged unpaid income, has filed a new lawsuit against the principality itself, to prevent Albert II from invoking head-of-state immunity. WWII spy photos declassified after 60 years. A collection of astonishing World War II air surveillance photos from Britain’s Aerial Reconnaissance Archives can now be seen by the public for the first time. US couple accused of spying for Cuba pleads guilty. As expected, Walter and Gwendolyn Myers, who were arrested by the FBI last summer on charges of spying for Cuba for over 30 years, have pleaded guilty and agreed to cooperate with investigators. Cambodia arrests Thai for spying on exile leader. Cambodian authorities said the man, Siwarak Chothipong, who works for the Cambodia Air Traffic Service, spied on the flight itinerary of visiting former Thai Prime Minister Thaksin Shinawatra, who has been living in exile since a 2006 military coup in Thailand. The Thai government has rejected the charge. CIA’s Panetta to visit India, Pakistan. CIA director Leon Panetta will visit Pakistan and India for three days, starting on November 20. 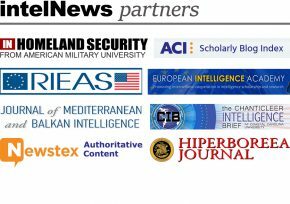 IntelNews will be keeping an eye on his visit. Former Monaco spymaster says prince invokes immunity. More on the saga of former FBI counterintelligence agent Robert Eringer, who until recently was spymaster to prince Albert II of Monaco, and is now suing him for €360,000 ($542,000) in alleged unpaid income. Eringer’s lawyers have accused Albert of invoking head-of-state immunity, “an absolute defense used by dictators around the world to avoid accountability in US courts”.